10x XP Weekend is now Live!!! Our get you XP on Power Leveling Weekend is here, 10X XP is now Live until the end of Sunday (12 June). So get that power leveling started!!!! Remember today is the last day for 10X XP so make it count and get that power leveling going!!!! 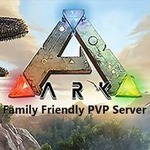 Today is also the last day for the ARK birthday event so use up all those cakes and candles while you can.